ABOUT — BoomTown & Co. The goal is to create a quality clothing brand with a mountain urban style. Not only does it feel amazing, but promotes the heritage and historical value of where we reside. 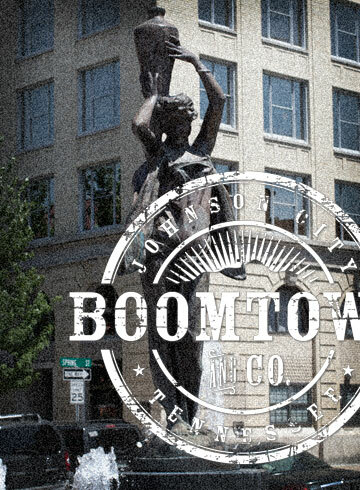 The name, BoomTown & Co., was inspired by the history of the railroad boom of the late 1800's and became a nickname of our city. A little town called Blue Plum became Johnson City as 3 major railroads converged here at Johnson's Depot. Follow this link for more on the history of Johnson City, Tenn.